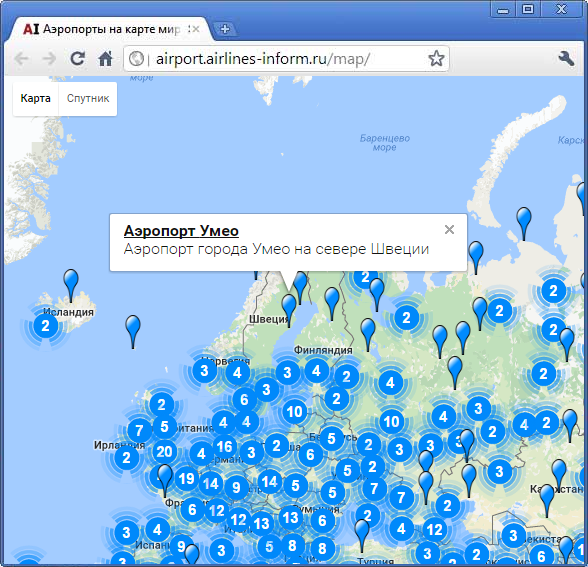 Information site in Russian for airports, airlines and airplanes around the world. The design is simple and old-fashioned, but the base is decent. Airports on the world map. You can look at the map, or you can look at the list: Airlines of Russia, airlines of the world, budget airlines, airlines of airlines, airports of Russia and the world, ratings of airlines.